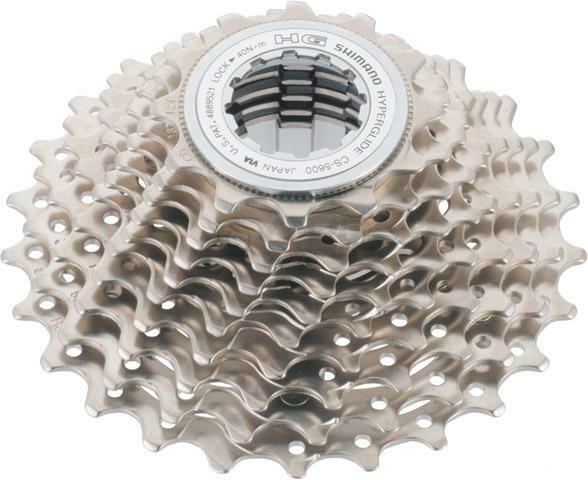 Shimano 105 10-speed cassette. Computer designed Hyperglide cogs offer improved shifting. Perfect for your cross rig when you need the most precise shifting available. Compatible with all 8, 9 and 10-speed Shimano hubs. Available in these combinations 12-13-14-15-15-16-17-19-21-23-25T or 12-13-14-15-16-17-19-21-24-27T.